← DNS Exfiltration with Dnsmasq; easy as 1, 2, 3! LuaRadio SDR – Goodbye GNURadio? I had tried GNURadio off and on, but was never even able to get a basic hello world to work. Even tuning to basic FM radio stations in my area led to static or weird errors. That said, it seemed that LuaRadio might be even easier, and finally let me see what my SDR could do. 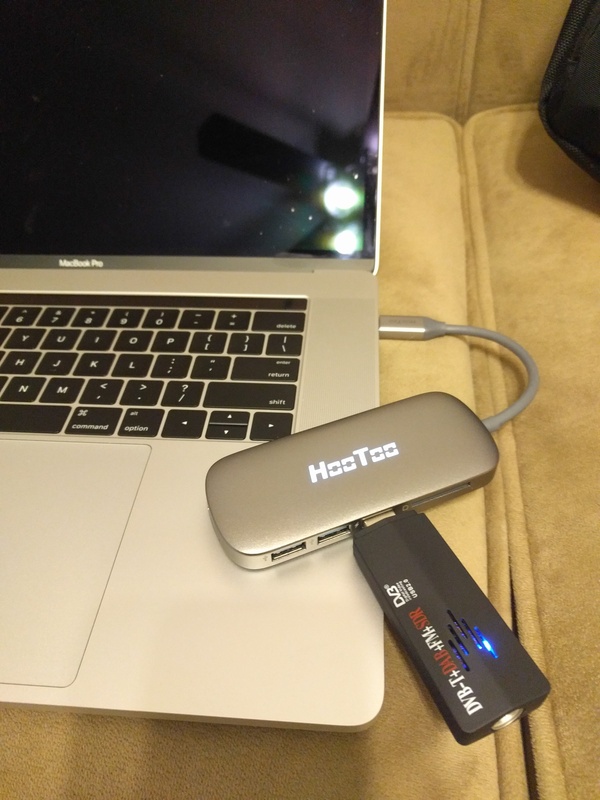 First, I hooked up the device to my Macbook (yay dongles). Warning: neither libliquid nor libvolk found. LuaRadio will run without acceleration. luajit: [string "radio.blocks.sinks.gnuplotspectrum"]:0: gnuplot not found. Is gnuplot installed? After (I thought) I had everything installed, it was time to create an FM receiver and listen to the radio! Unfortunately, a few more errors occurred. luajit: [string "radio.blocks.sources.rtlsdr"]:0: RtlSdrSource: librtlsdr not found. Is librtlsdr installed? After I had all the pre-requisites properly installed, I tuned to a local radio station. I was still getting some issues with the audio, but the internet recommended installing pulseaudio as well. When it was all said and done, I was able to tune to a local radio station, and get an audio file! That said, there were still a few issues with this method. The first was that even though a number of local radio stations in my area, I was only able to get a handful of them clearly. Additionally, I was unable to get the audio to actually stream, but rather output to a file. Other than that, it was very exciting to get my SDR actually working. I believe I may need an antenna of some sort to continue my experimentation, as that could be my issue. Let me know if you have any other suggestions or ideas for things that I can try! 2 Responses to LuaRadio SDR – Goodbye GNURadio? You wrote: The first was that even though a number of local radio stations in my area, I was only able to get a handful of them clearly. I had the same problem, but found the reason quickly. By default, a very low gain value for the receiver is used and autogain is set to false.